The Cowboys have a good chance to win the NFC East this season. Why? Because Tony Romo and Dez Bryant and Orlando Scandrick should be healthy. They’ll add the No. 4 pick in the draft. They’ll play one of the easiest schedules in the NFL. And, most of all, because they didn’t win the division last year. 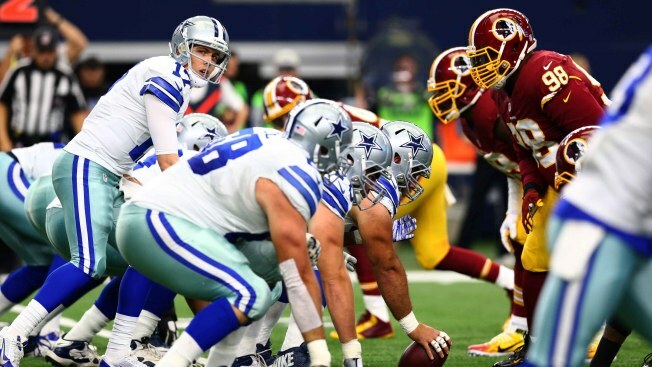 The NFC East is the league’s most schizophrenic quartet. Worst-to-first happens regularly. And back-to-back almost never occurs. The last time a team repeated as division champs Bill Parcells was scheming ways to stop the likes of Donovan McNabb, Clinton Portis and a Giants’ quarterback named Kurt Warner. The Eagles won the division in 2003 and 2004. Since then the champs have been as consistently random as a bag of Skittles: Giants. Eagles. Cowboys. Giants. Cowboys. Eagles. Giants. Redskins. Eagles. Cowboys. Redskins. Even though Washington won the title last year it was only 4-2 in the division. The fourth-place Cowboys only won four games, but went 3-3 in the East. They get a chance to quickly forget 2015 in 2016, playing the Giants and Redskins in Weeks 1 and 2. They’ll host Washington in a key game on Thanksgiving. And, if history is any indication, the Week 17 game in Philadelphia – on Jan. 1 – could decide the division crown. The Redskins host the Giants the same day in D.C.
Who will win the East in ’16? Anyone … except the ’15 champion Redskins.